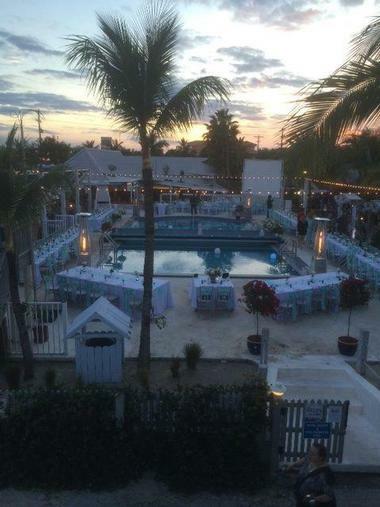 Ibis Bay Resort is an original 1956 seaside resort in the heart of Key West. Preserving all the best details from the resort when it was first built and adding modern day amenities and facilities, Ibis Bay Resort promises an unforgettable beach vacation. Infusing the history and heritage of the original resort with the island’s Cuban influence and famous artistic flair, the resort offers comfortable accommodations with hip, colorful décor, award-winning cuisine the four-star Stoned Crab Restaurant, and an array of activities for all tastes from jet skiing to cycling. Ibis Bay Resort offers comfortable guest island-themed rooms with bright, bold décor and furnishings, creative artworks on the walls, colorful accents throughout the rooms and large doors and windows with beautiful views. Guest rooms are available in a variety of sizes and layouts, however, all rooms feature modern amenities, including flat-screen HDTV televisions, mini-fridges, telephones, irons and ironing boards, tropical sarongs, and double outdoor hammocks (depending on availability). Value Rooms are 175 square foot in size and feature queen-size beds with deluxe linens, en-suite bathrooms with showers, vanities, fresh towels and quality bath products and modern amenities. Hammock Garden Rooms are 215 square feet in size and have queen-size beds with deluxe linens, en-suite bathrooms with showers, vanities, fresh towels and quality bath products and modern amenities. Lovely garden areas have double hammocks for relaxing. Patio Rooms are 250 square feet in size and are equipped with either one queen-size bed or two double beds with deluxe linens, en-suite bathrooms with showers, vanities, fresh towels and quality bath products and modern amenities, and outdoor patios with tables and chairs for morning coffee. Beachfront Rooms are 250 square feet in size and are equipped with either a queen-size bed or two double beds with deluxe linens, en-suite bathrooms with showers, vanities, fresh towels and quality bath products. Sliding doors open onto private beach decks with double hammocks and beautiful views over Ibis Bay. Standard Suites are 350 square feet in size and feature queen or king-size beds with deluxe linens, en-suite bathrooms with showers, vanities, fresh towels and quality bath products. Sitting areas have pullout sleeper sofas for extra guests and modern amenities. Ibis Bay Junior Suites are 45- square feet in size and have two queen-size beds with deluxe linens, en-suite bathrooms with showers, vanities, fresh towels and quality bath products. Sitting areas have pullout sleeper sofas for extra guests and modern amenities, and sliding doors open onto private beach decks with double hammocks and beautiful views over Ibis Bay. Ibis Bay King Suites are spacious and luxurious at 1,100 square feet in size. These luxurious retreats offer two bedrooms with queen-size beds with deluxe linens, two en-suite bathrooms with showers, vanities, fresh towels and quality bath products, a fully equipped kitchen, dining room and sunken lounge with a bar for entertaining. Ibis Bay King Suites have outdoor wraparound decks with breathtaking views over Ibis Bay. Family Vacation Room is 400 square feet in size and offers three queen-size beds with deluxe linens, two en-suite bathrooms with showers, vanities, fresh towels and quality bath products. 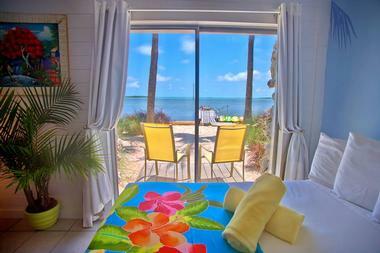 These rooms are located on the secluded beach known as Hammock Beach with plenty of hammocks in which to relax. Ibis Bay Resort is home to the award-winning Stoned Crab Restaurant, which serves fresh seafood and delectable local specialties such as stone crab. 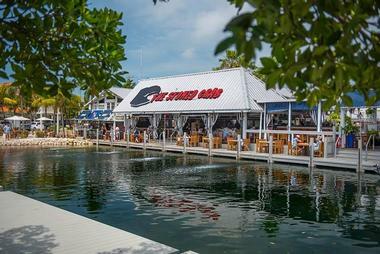 Set right next to the resort, the restaurant serves only the freshest catch of the day, including Key West shrimp, lobster, stone crab and a variety of local fish, as well as other dishes, salads, and sides. The restaurant has a full service bar and experienced friendly staff and boasts a beautiful seaside locale with stunning views. Ibis Bay Resort offers an array of amenities to enhance every stay, including a private white sandy beach with sun loungers in front of the resort for the exclusive use of guests, floating swimming platforms in the bay, beach hammocks, a swimming pool with a pool bar, and a private boat ramp. 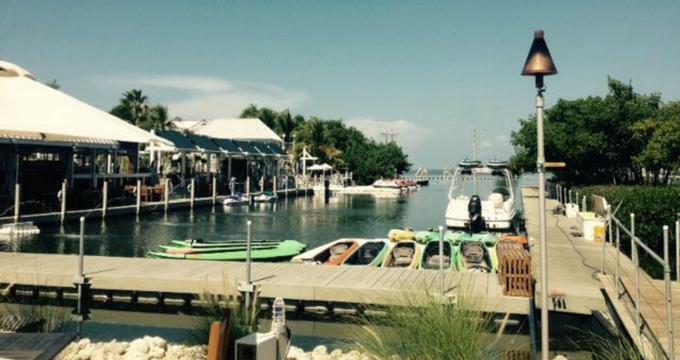 The resort has a Fun Desk with a range of activities and excursions to enjoy, including a variety of fishing charters, history tours, daytime and sunset cruises, and water sports. 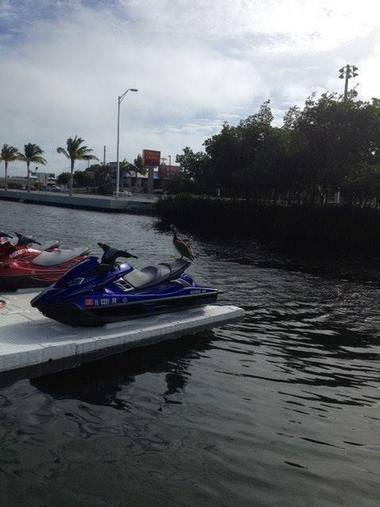 Guests can also rent equipment such as kayaks, stand up paddleboards, jet skis, scooters and electric cars. Ibis Bay Resort provides a variety of amenities and packages for special occasions such as celebrating a honeymoon or anniversary. Additional extras that can be arranged include champagne, flowers, chocolates, pre-stocked mini-fridges, and pre-booked activities from the Fun Desk.